The Nigerian government says a cell of a Boko Haram affiliate, called the ‘Muslim Brotherhood’ in Kogi state, is acquiring bomb-making chemicals and high-calibre weapons to perpetrate “acts of terror”, including attacks on banks, arms depots and prisons in the country. 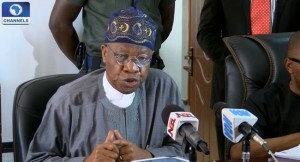 According to a statement by the Minister of Information and Culture, Mr Lai Mohammed, intelligence monitoring showed that the cell was making frantic efforts to advance its IED-making capability through the acquisition of chemicals used for producing IEDs and aluminium powder, a fuel source for amplifying explosions. The minister, therefore appealed to Nigerians to be vigilant and to report any suspicious persons or movements to the appropriate authorities.